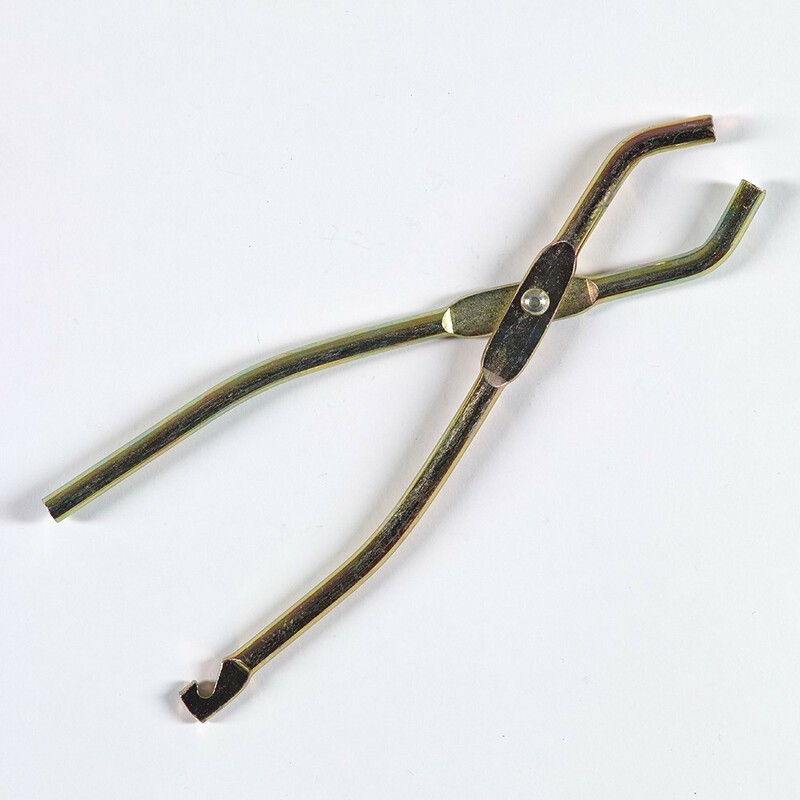 In order to make the installation of your trampoline easier, France Trampoline can provide you with this spring clamp. This spring clamp is provided with all of our trampoline packs, but can also be purchased separately. - Its clever design has a double function: it will help you install your springs but it will also help you install the T junctions used to attach the trampoline framework. The T junctions needs to be tightly squeezed in order to slide the steel leg onto it. - Installing the springs can be a difficult task, but with this clamp you will go a lot quicker and will avoid any fingers getting caught.